It is my great pleasure to add professors Ronald H. Coase and Steven N. S. Cheung to my Great Minds of Our Time series. And I am excited to add them both in the same blog entry (a first for me to add two people in one entry). note: This is my subjective list and, in case you disagree, feel free to create your own list and write about them. Now, to introduce you to Professor Steven Cheung, let me say he is one of the most influential economists in the world who knows, probably, the most about the Chinese economy. To me, the “China experts” who have not yet read Prof. Cheung’s English and Chinese articles are missing a lot of insight (and fun). 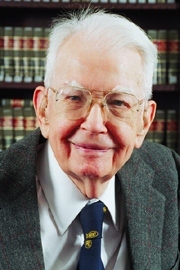 I am going to do the “lazy thing” (smile) by quoting Prof. Coase’s foreword in Prof. Cheung’s 800+ pages selected papers “ECONOMIC EXPLANATION–SELECTED PAPERS OF STEVEN N.S CHEUNG” [K: emphasis, links, and comments added by me]. The purpose of a Foreword to a book is to tell the prospective reader what he (or she) will gain by reading it. In the case of this collection of Steven Cheung’s articles, it is both an easy and an enjoyable task. Steven Cheung’s articles make clear what is wrong with so much of current writing on economics and what should be done to put it right. He does this by example, showing through his own work how economics should be done. What is particularly interesting is that he uses these same concepts in examining the extraordinarily interesting events which are now under way in China. Included in this volume is a paper Steven Cheung wrote in 1981 (in was published in 1982) with the title, “Will China Go Capitalist ?” His answer, which at the time was regarded as wildly improbable, was that it would. Subsequent events, however, have vindicated Cheung’s prediction. As Steven Cheung says, in a later paper, “Whatever the future holds, Deng Xiaoping’s Great Transformation must be regarded as one of the most remarkable chapters in economic history.”I regard what is going on in China as not only remarkable but of the greatest importance. The struggle for China is, in my view, the struggle for the world. The “Great Transformation,”if not interrupted, will have the most profound and beneficial effect on economic thought, not simply in Asia but also in Europe and the Americas. Readers of this book, by following these events with the aid of the concepts of property rights and transaction costs, will better understand what is going on. 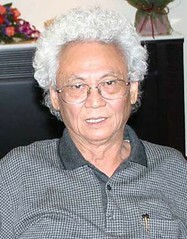 I gained immensely from discussions with Steven Cheung some forty years ago. This book will enable the reader to participate in a similar intellectual adventure. Years ago “Tallboy-Sheong”was king of fishing around Saiwanho. He was also expelled twice from school, taught Rong Guo Tuan (later world champion) table tennis, was Shu Xiang Cheng’s poetry soundingboard, but lost to Yang Guan Lin (later China champion)in Chinese chess. Steve studied inside the chambers of Alchian and Hirshleifer, and then became the anointed high priest of Coasian economics. Friedman officiated his wedding. Steve spoke on Coase’s behalf at a dinner party the evening before the latter received the Nobel Prize, by some accounts making a mess of things in his enthusiasm. Displaying equal enthusiasm, however, he shone at UCLA as the first Harberger Lecturer. In economics, Professor Cheung is only interested in the interpretation of observations. Eschewing mathematics of he favours a bare-fisted approach, by the inspired practice of which he has roamed far and wide. The selected papers in this volume trace the development of the economic thinking of Steven N. S. Cheung. P.S. As an aside, it hasn’t escaped my attention that Prof. Coase’s ground breaking paper “The Federal Communications Commission” was discussed by Prof. Lawerence Lessig‘s insightful Feb 2007 blog posting “Internet Policy: Deregulating Spectrum” (with video and full technical paper). Highly recommended. This entry was posted on Tuesday, June 26th, 2007 at 12:02 AM and is filed under China, Economics, GreatMindsOfOurTime, Hong Kong, ideasRevolution, Law, politics, radio, Ronald Coase, Science & Technology, Steven Cheung, Telecom, united states. You can follow any responses to this entry through the RSS 2.0 feed. Both comments and pings are currently closed.